En Francais : Degas, un peintre impressionniste ? Considered one of the leading figures of the Impressionism, Edgar Degas nevertheless disliked painting outdoors on the motif as most impressionists did, and he had complex relationships with the other members of the movement. Through 80 paintings, pastels, drawings or sculptures, the exhibition explores the links between Degas and the impressionist movement. The artist focused on themes that were more personal, like horse races, or the work of the ballet dancers of the Opera, where he had the opportunity of studying the effects of artificial lighting. 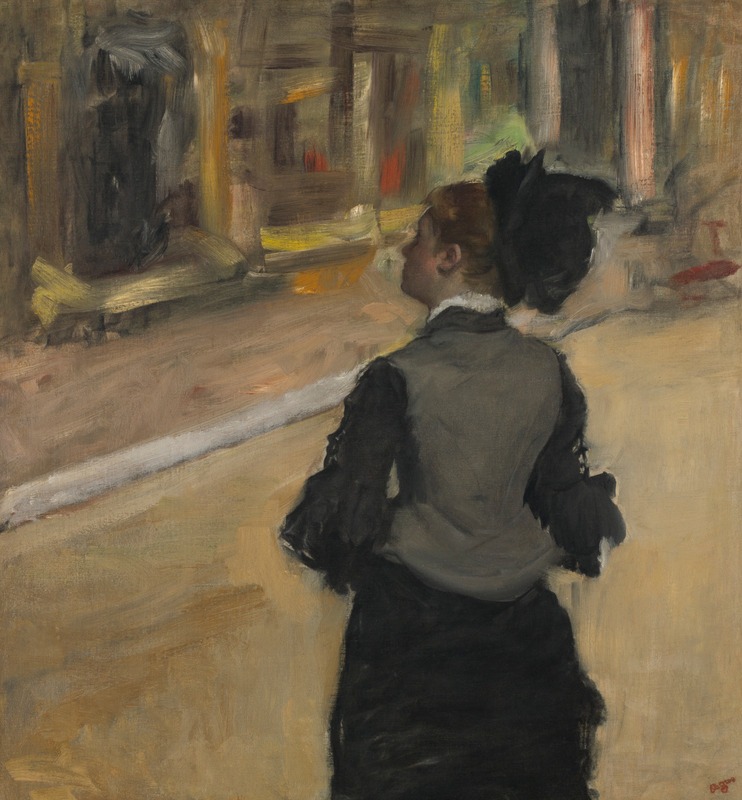 The exhibit is divided in four sections: the classical training of Degas, the way he was involved in the impressionist exhibitions, his landscapes, and his relationship with the other impressionists after 1890. Of course Degas was an impressionist, but he was above all a cutting-edge artist. 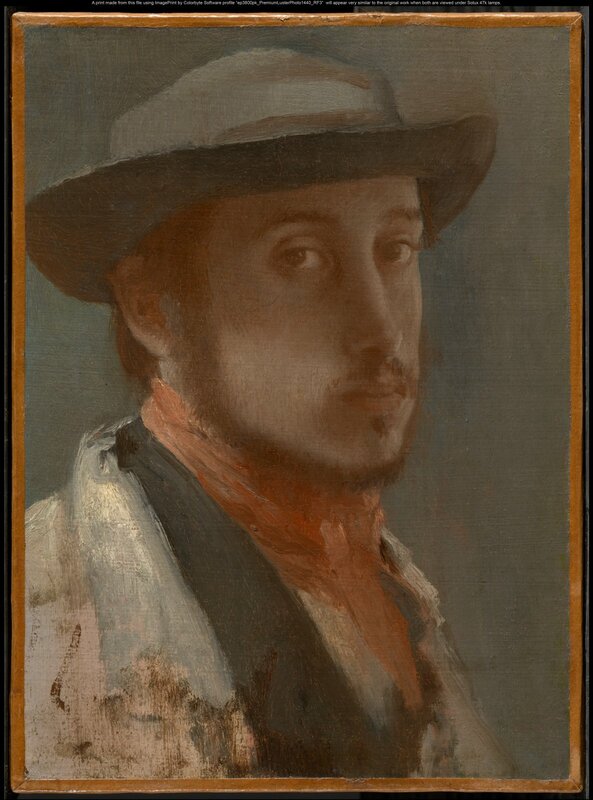 After a classical artistical training in Paris, Degas spent three years in his family in Italy where he visited many galleries and copied the masters. 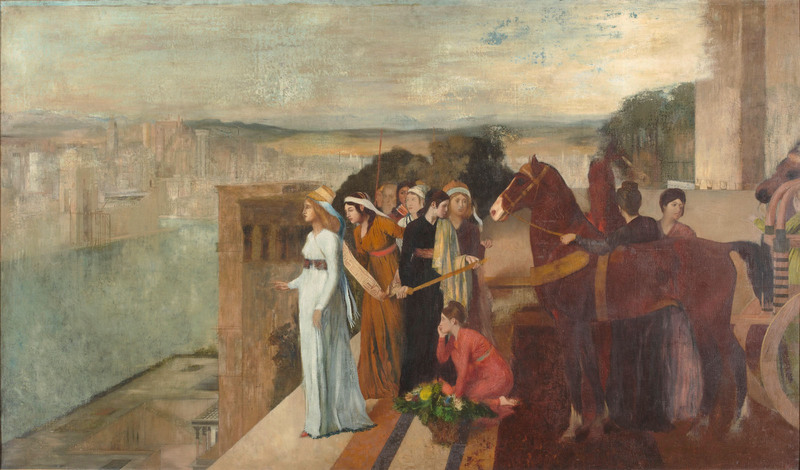 In his own compositions he was often inspired by the Antiquity. His painting methods were traditional: studies after living models, preparatory drawings, carefully planned composition... This differs thoroughly from the impressionist technics of seizing instantaneity on the motif. Degas participated in 7 out of 8 impressionist exhibitions that were held from 1874 to 1886. Moreover, he was much involved in organizing them. He invited his friends to participate, like the American Mary Cassatt. But because most of Degas friends were not impressionists, the result was to discourage Monet and Renoir and lessen the quality of the exhibitions. The exhibits appeared to be more an expression of the broader movement of naturalism than impressionism. They displayed many portraits and scène de genre, that were celebrated in the official Salons of the late 19th century. Degas loved painting dancers, indoors scenes and modern life, and didn't pay much attention to landscape and nature. 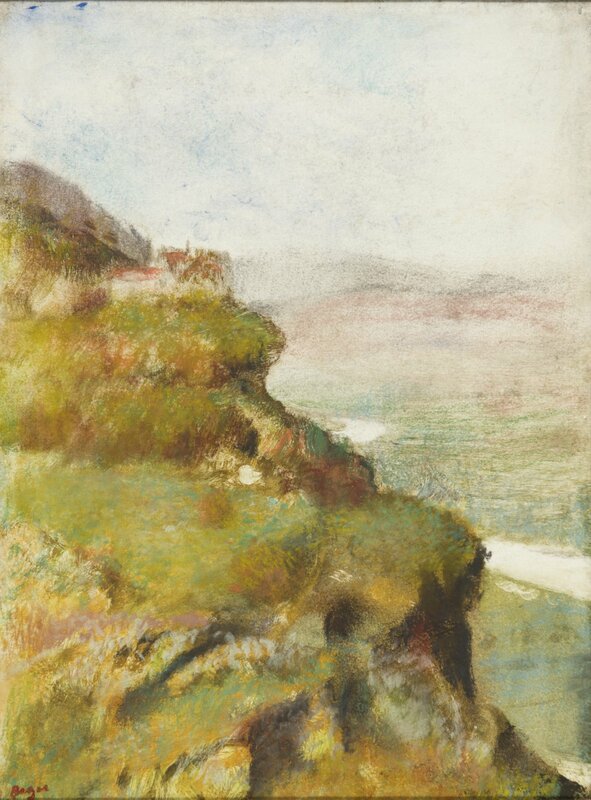 However he left a series of landscapes pastels that he drew out of his memory in his studio in 1869. Later on, in 1890, he turned back to landscapes through a numerous series of monotypes enhanced with pastel. They appear like memories, almost abstract visions, and were showcased in the Durand-Ruel gallery in 1892. These works seem to be closer to symbolism than to impressionism. 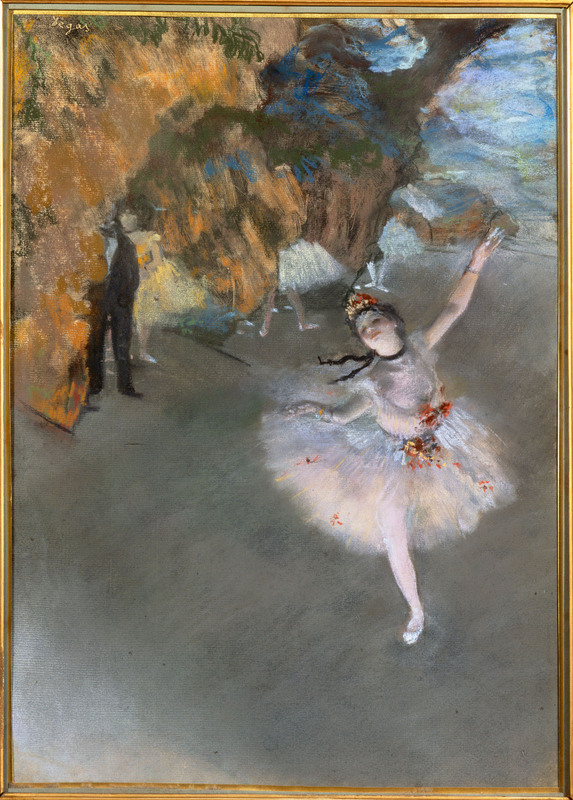 Degas was fascinated by movement, especially by ballet and dance. Opera and ballet were fashionable in the late 19th century. They were part of the night life that was made possible by artificial lighting. Degas works feature the effects of stage light on the body and outfits of dancers, their attitude and movement. Degas also observed the hard backstage work of the young girls.